After the too much issues having with new Tizen 3.0 software version on Gear S3, finally, T-Mobile rolled out new firmware on its Samsung Gear S3 when after everything is fine now. Samsung had released new version 2 months ago in most countries but because of battery issues & other software bugs in the firmware it stopped immediately. Later it resumed in many countries with more stable & improved version of it. 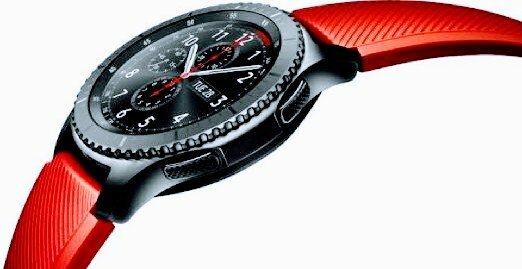 Now US telecom operator T-Mobile released Tizen 3.0 on its Gear S3 Frontier & Gear S3 Classic models. This is some time late for the smartwatch users but good thing is they are getting trouble free version. The value pack update is 265MB in size, brought many features to digital watch or you can say some rebuild features to take care of your wearable. This firmware is more advanced in Tizen version. Firstly it was introduced on Samsung Gear Sport at the launching time, working great on the device. Afterwards it released on Gear S3, not gone well for many customers that they complained poor battery life, crashing apps, rebooting devices & not supporting watch faces. Now Users can create and send contacts & calendars right from the Gear S3 in few steps. The related apps – Samsung Connect, Gear VR Controller, PPT Controller has been updated for the better accessibility. To use them you have to download separate apps from the store. In the app section, many apps are updated with new features and comes with handy widgets in the shortcuts. The new revised Tizen 3.0 update comes with many changes and some additional features. It mainly focused on security of the watch. Compare to the older firmware it is now more stable to use. The major things to notice are battery improvement & preventing it from unwanted crashes. The update is now live and you can install it from your smartwatch. To install new update go to About Gear – > Gear Update and hit on Update button. Share your experience with new version in the comments box below.